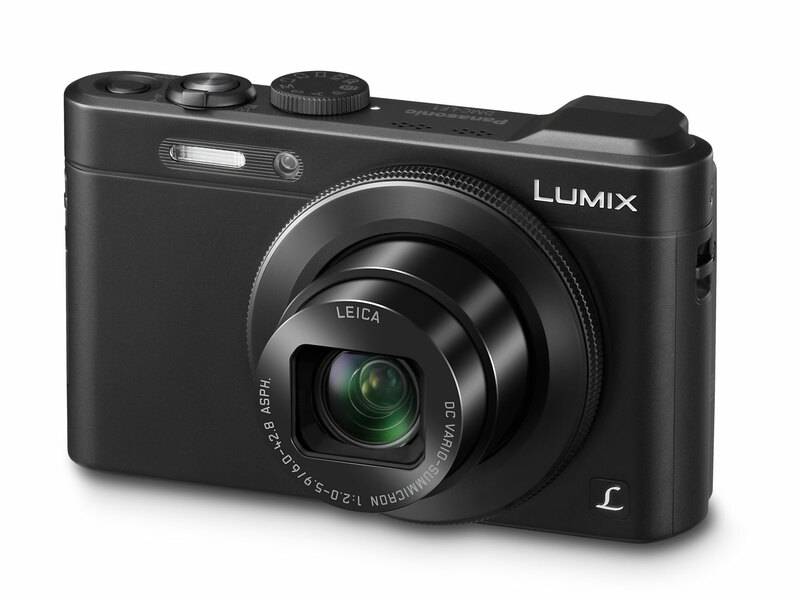 April 24, 2013: Panasonic is proud to announce a new digital compact camera LUMIX DMC-LF1 from new LF series – a sister line of the world-renowned LX series which have been long acclaimed by the photography enthusiasts for its high picture quality and creative descriptiveness. The new DMC-LF1 incorporates F2.0 LEICA DC VARIO-SUMMICRON lens and 1/1.7-inch large High Sensitivity MOS Sensor in sleek, stylish profile with practical EVF (Electronic View Finder). The F2.0 fast LEICA DC VARIO-SUMMICRON lens boasts excellent descriptiveness produced by its outstanding quality and performance yet achieves 7.1x high optical zoom (35mm camera equivalent: 28-200mm) making this camera even more versatile. The 1/1.7-inch large High Sensitivity MOS Sensor and the high performance Venus Engine achieves clear image recording even at high sensitivity setting taking advantage of rich amount of light. With the Wi-Fi® connectivity with NFC (Near Field Communication) technology, the DMC-LF1 features “Touch & Share” in which users can connect the camera to their smartphone/tablet anywhere at one-touch to share a image easily right on the spot. It is also possible to use a smartphone/tablet as a multi-capable remote shutter with a monitor. With the new Instant Transfer function, photos are automatically sent to the smartphone/tablet right after shooting. On the other hand, both photo and video can be archived to the registered digital equipment such as PC automatically via the wireless access point (router) at home. For step-up users who pursue higher expressive performance, the DMC-LF1 comes equipped with a variety of manual functionalities. Newly integrated Control Ring and Composition Guide help experience advanced photography with ease. A variety of special effects that add fun to shooting experience are also integrated in DMC-LF1–Creative Panorama, Creative Control and Creative Retouch featuring a total of max.15 attractive filter effects*. The DMC-LF1 records 1,920 x 1,080 60i (NTSC) / 50i (PAL) full-HD video recording in AVCHD / MP4** with high quality stereo sound. The 7.1x optical zoom is also available in video recording. The POWER O.I.S. (Optical Image Stabilizer) with Active Mode powerfully suppresses blur even in video recording. In addition to the 0.2-inch 200K-dotpractical EVF, the DMC-LF1 features 3-inch large 920K-dot Intelligent LCD assuring highly visibility in both shooting and image playback. Advanced in function and more fashionable in design – the DMC-LF1 is for users who wants to get more inspired by photography in their sophisticated lifestyles. *Some modes of Creative Control cannot be used in Creative Panorama and Creative Retouch. ** 30p (NTSC) / 25p (PAL) in MP4 recording. – Maximum time to record motion pictures continuously with [AVCHD] is 29 minutes 59 seconds in some European / Asian areas. The DMC-LF1 is equipped with newly developed 28mm wide angle LEICA DC VARIO-SUMMICRON lens with 7.1x optical zoom (35mm camera equivalent: 28-200mm). This supreme lens features F2.0 high speed, which boasts approx. 2x higher speed of F2.8 lens, itself generally considered a fast lens. The extraordinarily rich amount of light allows not only using higher shutter speed to capture stunningly clear, sharp, blur-free images in lower lighting situation, but also giving impressive expression to the image by reproducing exquisite gradation and mellow defocus. The lens unit consists of 10 elements in 8 groups with 4 aspherical lenses with 7 aspherical surfaces including an ED (Extra-low Dispersion) lens that compensates for chromatic aberration at entire zoom range. Panasonic achieves integrating F2.0 fast lens in this middle-zoom compact camera by combining the company’s unique technologies – a technology for the mass production of a slim lens with a flange of just 0.3mm and a black-box technology for assembling spherical lenses and aspherical lenses. The super-high-quality LEICA DC VARIO-SUMMICRON lens minimizes distortion at the wide end, so users can get stunning, true-to-life images with outstanding resolution and detail. For more effective countermeasure against hand-shake which tends to occur in shooting with high zoom, POWER O.I.S. (Optical Image Stabilizer) with Active Mode is equipped with DMC-LF1 to powerfully suppress blur in both photo and video recording. The high performance image processor Venus Engine also boasts advanced signal processing. The Venus Engine enables deliberate noise reduction process without missing low-frequency noise by searching large detection area to realize high sensitivity image recording even at ISO12800. In addition, Edge Smoothing NR technology helps rendering smooth edges even in image recording at high ISO setting. The high speed digital signal output technology is integrated to realize high speed consecutive shooting at 10 fps in full resolution with mechanical shutter and to record full-HD 60i (NTSC) / 50i (PAL) smooth video in AVCHD/MP4*.. It also contributes to the high speed Sonic Speed AF to catch the most fleeting shooting opportunities. In addition, the high speed burst shooting at 60 fps is available to capture subject with fast motion**. The 3.0-inch, 920,000-dot Intelligent LCD with super high resolution and a wide viewing angle features automatic brightness adjustment in 7 steps as the surrounding brightness level changes, ensuring easy visibility at all times. The big screen with AR coating reflects fine details, making it easy to check the focus before shooting. It also serves as a small photo and video viewer, allowing the user and friends to enjoy viewing the still and motion images together. The DMC-LF1 integrates a Wi-Fi® connectivity (IEEE 802.11 b/g/n) with NFC (Near Field Communication) technology to offer more flexible shooting experience and instant image sharing with easy operation. The NFC allows “Touch & Share” in which users can connect the camera to their smartphone/tablet anywhere at one-touch to share a image easily right on the spot by just pairing the two devices. What is new is that the setup is extremely easy and finishes within a few seconds, making it possible to pair the camera directly to the smartphone/tablet without connection procedure of information input for authorization. With a smartphone/tablet, remote shooting of both photo and video is available by using the smartphone/tablet for a remote shutter with a monitor which displayed live at smooth 30 fps. Not only releasing a shutter, zooming, focusing and settings of shutter speed, aperture, exposure compensation are all controllable with a smartphone/tablet. The Instant Transfer function allows the camera to transfer the photo data to the designated electronic devices automatically whenever shutter is released. In playback mode, users can also touch the image displayed on the camera to transfer it directly to the smartphone/tablet right on the spot. In addition, it is possible to tag the location information to the image by utilizing the GPS (Global Positioning System) log of a smartphone / tablet. All these flexible shooting / browsing / sharing style are made possible with the DMC-LF1 and the Panasonic’s dedicated application software “Panasonic Image App” for iOS / Android smartphones/tablets. Archiving images becomes easy. DMC-LF1 transfer the data to PC or other compliant electronic devices automatically via the wireless access point (router) at home. Also, users can save precious record of memory to the Panasonic’s exclusive cloud service “LUMIX CLUB”. The Wi-Fi Direct™ function allows direct playback of images on the DLNA (Digital Living Network Alliance) – compliant VIERA HDTV*. A variety of advanced functions are equipped with DMC-LF1 to spur more interest of step-up users in photography. Manual control is easy to try thanks to the Control Ring, which enables direct, intuitive control over frequently-used settings – zooming, aperture, shutter speed, ISO sensitivity and filter of Creative Control / Creative Panorama. To assist learning photography, Composition Guide is also available in DMC-LF1. It is easy to shoot a photo in good composition by just choosing most suitable pattern of composition from- Rule of Thirds Offset, Diagonal Lines, Tunnel, Radiation1, Radiation2 and S-shape – and framing the subjects along the guided lines. Well-composed image has a stunning perspective and dramatically look refined. This function can be used in shooting not only with LCD but also with EVF. Furthermore, DMC-LF1 is equipped with Level Gauge to detect the horizontal / vertical angle of view using its internal level working with the acceleration sensor. This is helpful to keep horizontal composition precisely even when shooting in high or low angle. – Maximum time to record motion pictures continuously with [AVCHD] is 29 minutes 59 seconds in some European / Asian areas..
For beginners, iA (Intelligent Auto) mode supports taking beautiful pictures with a variety of shooting-assist functions including AF Tracking, Intelligent Scene Selector, Face Recognition and Intelligent ISO Control. The iA Plus mode lets users adjust defocusing area in the background, exposure compensation and white balance for more flexible control. The camera’s battery can be recharged either via AC or via USB according to the users’ convenience.